Field Meetings: a chance to see interesting plants in interesting places. Scroll down to find out about our main national botany meetings this year across Britain & Ireland. 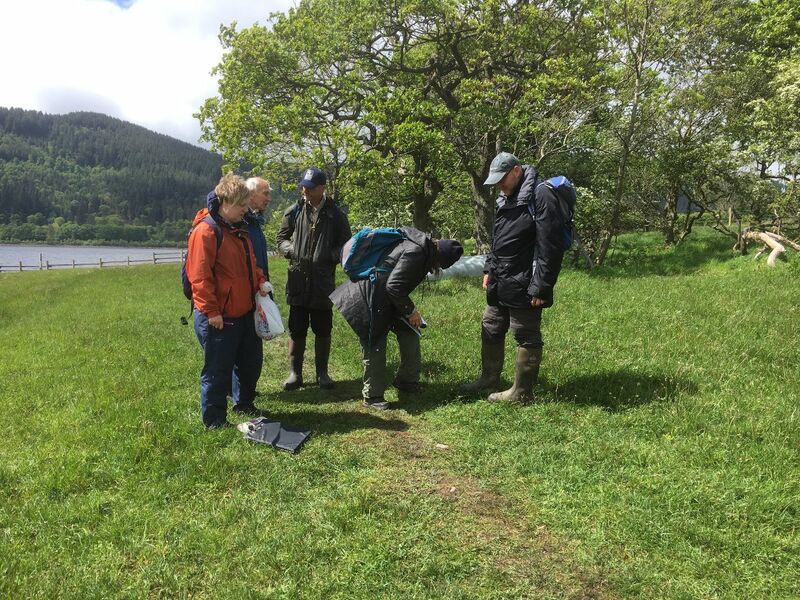 Some are General meetings suitable for everyone, beginner or expert; some are focused on Training, or Recording for Atlas 2020, and some are aimed at the more experienced botanist (these are marked 'Specialist'). Most are free to attend and you don't need to be a BSBI member, although if there are more applicants than spaces available, we reserve the right to prioritise our members. 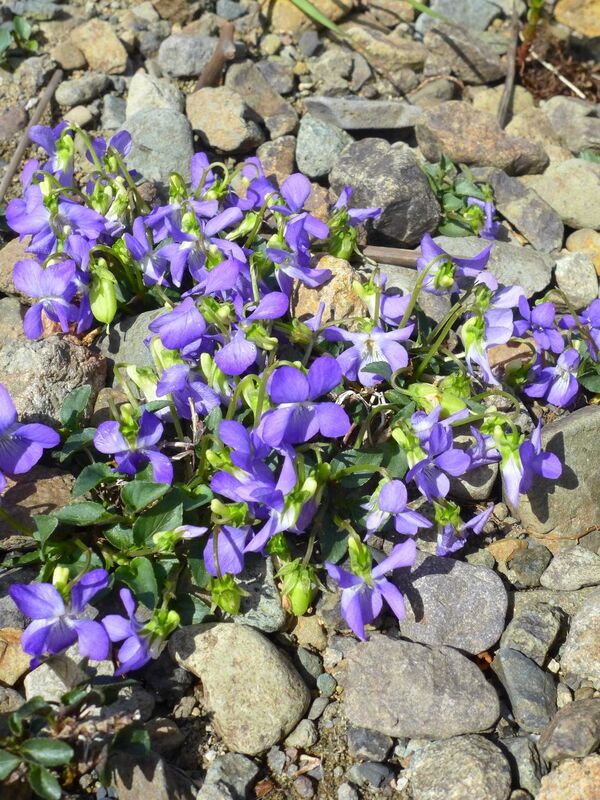 You can also find out about botany meetings in your area by checking our Local Botany page. Please click on these links to find out more about the BSBI Annual Summer Meeting and indoor meetings such as the BSBI Recorders' Conference, the Scottish Annual Meeting, Irish and Scottish Conferences, the Welsh AGM and BSBI Annual Exhibition Meeting; and don't forget our New Year Plant Hunt. Details for our forthcoming national field and indoor meetings are given in full below; they are also published in the BSBI Yearbook, available to BSBI members via the members-only area (password required). There is also an annual Meetings Diary page (also available as a downloadable pdf) which includes all national meetings and some of the meetings held across Britain and Ireland by local botany groups and county recorders. Details for some meetings are provisional and subject to change; other meetings are still in the planning stage. Several meetings have links to on-line booking, so please use these to book if possible. The Meetings programme is updated regularly by Field Meetings Secretary Jon Shanklin, so please keep an eye on this page for any additional meetings or changes to the information published in the BSBI Yearbook. The annual Irish Conference will take place at the National Botanic Gardens, Dublin. There will be an exciting line-up of talks, workshops and activities. Visit the Irish Conferences webpage or contact the Irish Officer (maria.long@bsbi.org) for further details. Booking will open closer to the time. The theme is, of course, Atlas 2020 and the program will include an update on the project, what Recorders are planning to do in its final year and how members can help. There will also be a series of short talks by a variety of speakers and a discussion on post-Atlas activities. The conferences will be identical, with one at the RBGE, and the same programme will be repeated the following day at the RSPB Offices in Aberdeen. Everyone interested is welcome! Click the links for more information and to book. On Saturday we will explore Widdybank Fell and hopefully see most of the early-flowering Teesdale rarities in flower. We will also demonstrate how we are recording for Margaret Bradshaw's 'Upper Teesdale Special Flora and Conservation' project. On Sunday we will use this method to record locations of rare plants along a particularly rich section of the River Tees riverbank. Numbers are limited to 16. To book contact John O'Reilly at john@ptyxis.com or 3 Station Cottages, Lambley, Brampton CA8 7LL. Joint BSS/BSBI/PSNS (Perthshire Society of Natural Science) Urban Flora meeting. This excursion will collect records for the Urban Flora of Scotland from within the village boundary. For more information and to book contact Liz Lavery eldlavery@outlook.com. This long weekend meeting (starting on Friday morning) aims to help the Recorder improve Atlas 2020 coverage in East Lothian. We will be based in the old county town of Haddington, which is a conveniently central base. East Lothian is one of the smallest vice-counties and has a rich and varied coastline – with dune systems, marshes, scrub and grassland to the west of North Berwick – and a rockier coastline to the east. The hinterland is largely farmland, with small woodlands, and scattered settlements and gently rises to moorland of The Lammermuir Hills. So, there will be a good variety of habitats to visit and record. Booking is essential. Click for further information and online booking. Contact Marion Moir for queries. Participants are welcome to come along on one, two or all of the days. The Welsh AGM will be based at the 4-star Stradey Park Hotel, Llanelli, Carmarthenshire. A booking form was included with the January issue of BSBI News (for members only); details and an online payment facility are also available on the Welsh AGM webpage. This meeting will focus on recording in a relatively under-recorded hectad in the north of the county. A range of habitats will be visited including wetland/lakeshore. Please bring a packed lunch and suitable footwear. Meet 11 am at Moyne cross roads (N 24308 96236). Please contact Ciaran Bruton crnbruton66@gmail.com for more information. This long weekend meeting (starting on Friday morning) aims to help the Recorder improve Atlas 2020 coverage in Fife, which is a moderately big county. We will be based near Dunfermline, which is a conveniently central base – especially for the under-recorded areas around the town and towards the western county boundary. This area of Fife has surprisingly rich and varied habitats – with coastal habitats, lowland raised bogs, many lochs, woodland, farmland and moorland rising up to 400m in the Cleish Hills. So, many interesting habitats to explore! We shall be looking out for Filago minima (Small Cudweed), Pyrola minor (Common Wintergreen), Sedum villosum (Hairy Stonecrop) and Meum athamanticum (Spignel). Booking is essential. Click for further information and online booking. Contact Sandy Edwards ase1@st-andrews.ac.uk for queries. Participants are welcome to come along on one, two or all of the days. Roudsea Wood & Mosses is a complex area comprising four main habitats: coastal saltmarsh, acid woodland, limestone woodland and lowland raised mire. It is a rich and fascinating site and we will be visiting all the habitats listed. Among the sedges we expect to see are Carex acutiformis, C. x boenninghausiana (C. paniculata × C. remota), C. digitata, C. elongata, C. flava (and its hybrid with C. demissa), C. elongata, C. laevigata, C. pallescens, C. paniculata, C. pseudocyperus, C. remota, C. vesicaria and, on the saltmarsh, C. distans, C. extensa and C. otrubae. Many other interesting plants occur on the reserve, including Dryopteris carthusiana (Narrow Buckler-fern), Ophioglossum vulgatum (Adder’s-tongue), Osmunda regalis (Royal Fern), Sorbus lancastriensis (Lancastrian Whitebeam) and Thelypteris palustris (Marsh Fern). Numbers are limited to 15 to minimise damage to fragile habitats. All sedge enthusiasts are welcome, whether experienced or not. Meet at 10.30 am at the parking place at SD329826 reached by following the minor road west immediately south of the bridge over the R. Leven south of Haverthwaite. There is limited parking so please share transport wherever possible. This will be a full day outing so please bring packed lunch. The distance to be covered will not be great - five kilometres at the most but the going may be rough and very wet in places. Wellies or waterproof boots are essential. To book a place or request more details contact Mike Porter, preferably by email, carexmike@yahoo.co.uk; landline 016973 43086, mobile 07803 349 861. A rare opportunity to get up close to two of Rothamsted’s world-famous ‘classical’ long-term experiments, which as well as supporting agricultural research are of considerable ecological and botanical interest. Park Grass (established 1856) explores the effects of different nutrient and liming regimes on the diversity and performance of hay meadow floras, and is particularly impressive at this time of year prior to the first cut. Broadbalk (established 1843) investigates the effects of nutrients and other agronomic practices on wheat production, and has a claim to being the most famous field in the world! One section has been maintained without use of herbicides and contains several nationally scarce arable weeds including Ranunculus arvensis (Corn Buttercup), Scandix pecten-veneris (Shepherd’s-needle) and Galium tricornutum (Corn Cleavers), the latter at its only remaining ‘native’ site in the UK. If time permits there will also be a chance to visit heathland restoration projects on nearby Harpenden Common. Timing and meeting place to be confirmed, but Rothamsted is just south of Harpenden town centre beside the A1081. For logistical reason there was a cap on attendees, and the meeting is now fully booked. To be put on the waiting list in the event of cancellations please contact i.denholm@herts.ac.uk. Leaders: Dave Barlow and Vincent Jones. Last year's meeting based on the concept of 'finding the family first' was a great success. 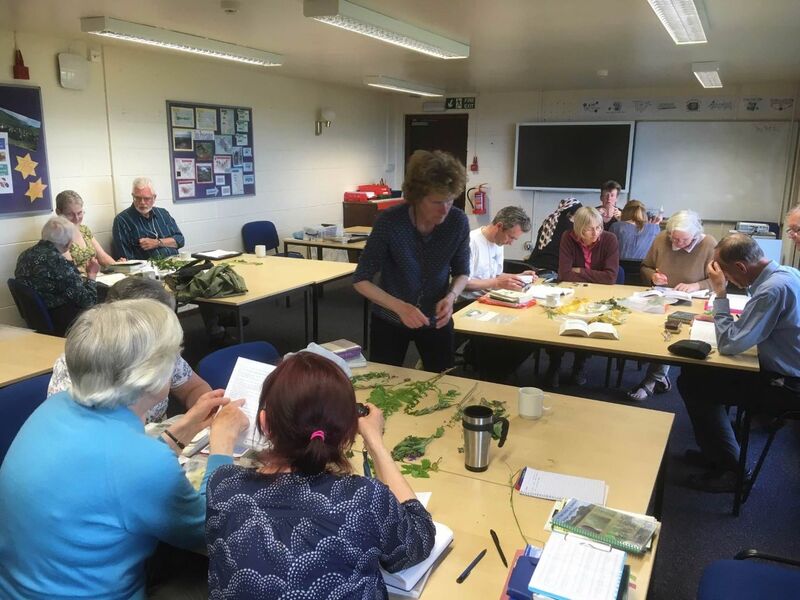 They are designed to help beginners and improvers, especially participants of BSBI/Plantlilfe Plant Families Workshops; anyone is welcome to attend but experienced botanists may find themselves pressed into service to help beginners! The emphasis will be on learning how to pursue identifications in the field, by means of plant families. It will be an advantage to have a copy of the Pocket Guide to Wildflower Families – which will be available on the day – as well as your favourite field guide. This meeting is specially for beginners & improvers. Time and venue to be confirmed; further information from aileenammeek@gmail.com. An opportunity to join members of the Kent Botanical Recording Group in updating records for this important Kent Wildlife Trust (KWT) reserve which contains Kent’s last four valley bogs, an extensive area of fen and one of its few remaining areas of open heath. Many of the species, such as Drosera rotundifolia (Round-leaved Sundew), Juncus squarrosus (Heath Rush) and Narthecium ossifragum (Bog Asphodel), though common and widespread throughout much of UK, are extremely rare in Kent as are many of the 17 Carex (Sedge) species listed from the Reserve; and we will be seeing a good population of the nationally endangered Ranunculus tripartitus (Three-lobed Water-crowfoot). Meet at 10.00 am in Hothfield KWT Reserve car park, east side of Cades Road at TQ 972 458. For any other information, contact Sue Buckingham at suebuckingham7110@btinternet.com or mobile: 0797 1230840. Leader: Richard Lansdown (author of the BSBI Water Starworts Handbook). Indoor tutorial with material from all the British species, outdoor visit to learn collecting techniques and identification in the field and follow-up tutorial. £20 guide price. This is a great opportunity to learn from an aquatics expert! Bookings have now opened on the Brecknockshire page or contact Andrew Jones aberystwyth1234@gmail.com for further details. Cartanstown is a promising fen/marsh site in need of exploration at an optimal time of year for sedges. If we have time in the afternoon, we’ll drive to Glack Bog which is in the most under-recorded hectad in Louth. A pair of wellington boots will be essential. Meet at Donegans, Monasterboice Inn on the R132 just off M1 Junction 11 (O 056 812) at 10.30 am. Please confirm your attendance with Kate Harrington harringtonkm@gmail.com or 353-86-3856713) so we can plan ahead for parking as it is very limited at both sites. Easterness is the biggest and most mountainous ice-county. This meeting aims to help the Recorder with Atlas 2020 in the area to the east of Loch Ness, between the loch and the Monadliaths. The meeting will also provide a great opportunity to help improve field identification skills and to see nice plants in nice places and have a lot of fun in the process! The area is fairly mountainous, and a reasonable level of fitness is required but we will aim to offer a range of different ability routes every day. At some point during the week we will take time off, to give you a chance to explore on your own. We will be based at Dell Lodge, Whitebridge. The Lodge is 10 miles from Fort Augustus. It accommodates 16 in total, variously in double or two bedded rooms, so participants should expect to share. Hilary Hawker has kindly agreed to cater for us again, so expect delicious home-cooking! For further details and to note your interest please contact Jim McIntosh jim.mcintosh@bsbi.org, BSBI Scottish Officer. We are aiming to record in mainly under-worked upland squares in the south west of Cumbria. There will be some mountain options, but most squares will be in more accessible but still rough country. Should the weather be too inclement or the limbs unwilling there will be some lowland and perhaps coastal squares to do. We aim to work in small groups, possibly pairs, to maximise productivity. 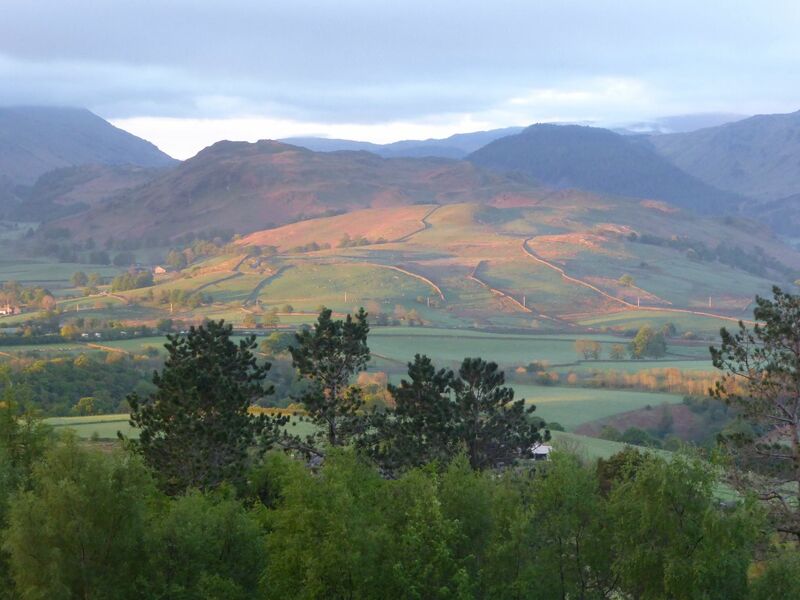 There is accommodation available in a large cottage (self-catering) just south of Ravenglass in Muncaster Castle grounds. The available rooms have twin-beds, but it is assumed that most attending will prefer a room to themselves. The charge will be about £27 per night per room. Participants will be welcome to stay for all or part of the week or to find their own accommodation. Please contact Phill Brown tindalepegman@gmail.com for details. As in previous years, on most days, participants will be split into small groups to cover as much ground as possible. However, arrangements will be flexible and, on one or two days, the group may stay as one body to visit botanical hot-spots if participants wish. The meeting will cater for both experienced and inexperienced botanists and will provide an opportunity for the informal development of identification skills. Day outings will be tailored to individual needs to cover all skill and fitness abilities. Glynhir Mansion – Glynhir Road, Llandybie, Ammanford, Carmarthenshire www.theglynhirestate.com – is located about 2km east of Llandybie on the western flank of the Black Mountain at SN640151. The River Loughor runs through the estate and at one point plunges over a 10m waterfall into a rocky gorge where Dryopteris aemula (Hay-scented Buckler-fern), Hymenophyllum tunbrigense (Tunbridge Filmy-fern) and Asplenium trichomanes ssp. trichomanes (Maidenhair Spleenwort) are among the ferns growing on the cliffs. There will be ample opportunity in the timetable to visit the site. Large parkland trees provide the setting to the mansion, including Tilia cordata (Small-leaved Lime), and there remains much scope for further discoveries to be made in the vicinity. The mansion and estate is run by the Jenkins family and provides first class but relaxed facilities including a large common room for evening identification and discussion sessions. The cost of the week from lunchtime on Monday 8th July to breakfast on Monday 17th July, including bed, breakfast, packed lunches and evening meals, will be approximately £500 (based upon 2017 prices) and will be limited to about 15 participants. Accommodation for part of the week will be charged pro rata. A limited number of en suite rooms are available on a first-come first-served basis. Please make initial bookings with the leaders Mr & Mrs R.D. Pryce, PryceEco@aol.com Trevethin, School Road, Pwll, Llanelli, Carmarthenshire, SA15 4AL. Mobile phone no. 07900 241371 as soon as possible, preferably by the end of January but reserve and pay for your accommodation directly with Glynhir by emailing enquiries@theglynhirestate.com or by phoning Katy on 07810 864458. A 35% deposit will be required by Glynhir on booking. Please note that the Glynhir bookings website is no longer functional. 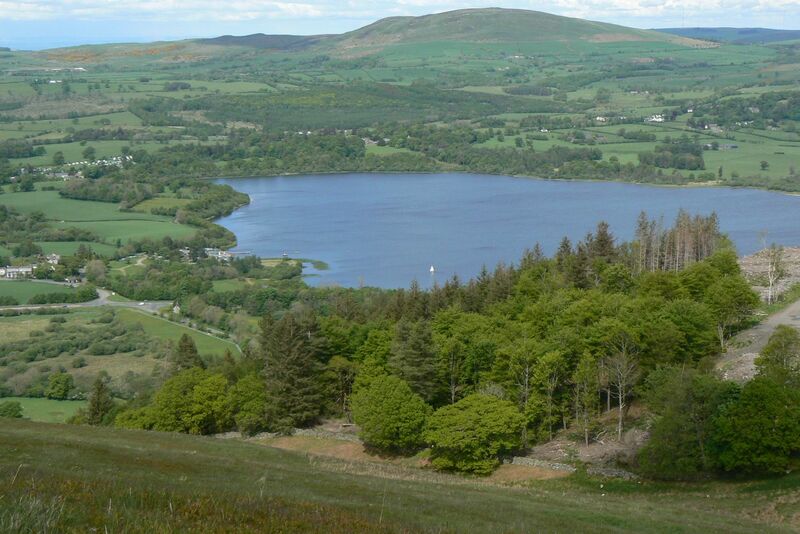 This field trip will explore a range of habitats located in the western end of County Sligo. Rain gear, boots and lunch are essential. The meeting may be extended to Sunday 14 July. Contact: Róisín NigFhloinn rnigfhloinn@gmail.com for further details. The 2019 Summer Meeting will be based at FSC Malham Tarn. There will be a mix of excursions to important plant areas and visits to under-recorded tetrads for Atlas 2020. Head over to the ASM webpage to download a programme. Residential booking has closed, although there is one room left for the weekend only and there are a few spaces for day visitors. Contact Jonathan Shanklin jdsh@bas.ac.uk for further information or to ask to be put on a waiting list in case there are cancellations. Merrick (843m) is the highest mountain in the Southern Uplands. The aim of this field meeting is to help the VC Recorder with Atlas 2020 recording in the north of his big vice-county. One of our targets will be the ridges and corries along the Corserine - Carlins Cairn and Merrick ridges (weather permitting) looking for such rarities as Cochlearia pyrenaica (Pyrenian Scurvygrass). 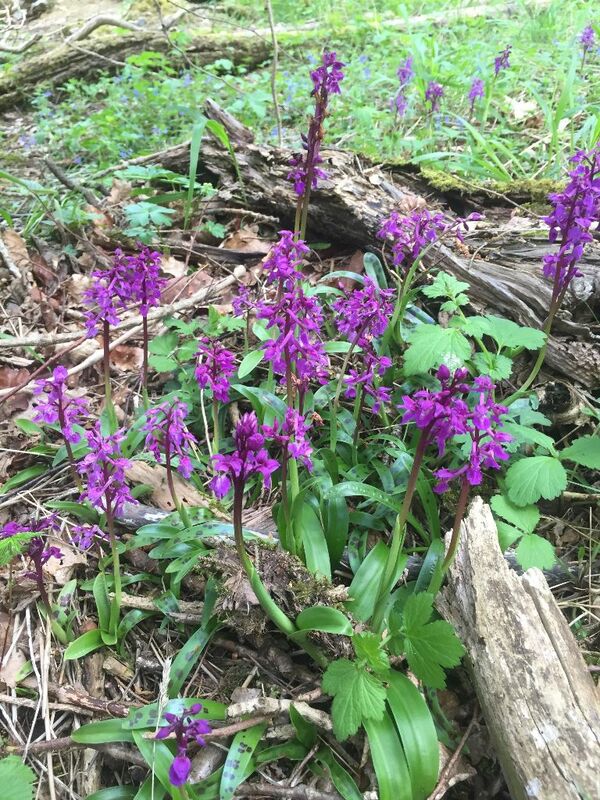 There will also be plenty to do on lower ground with no, or very few, recent records of Hammarbya paludosa (Bog Orchid), Genista anglica (Petty Whin) and Arctostaphylos uva-ursi (Bearberry). It would also be great to renew the only record of Rubus chamaemorus (Cloudberry) in the VC. Generally, we will aim to go out in small groups of threes and fours every day to maximise Atlas coverage and make best use of scarce botanists! We will base ourselves in the Clachan Inn in St John’s Town of Dalry, but there are several other hotels and B&Bs available in the local area. Booking is essential. Click for further information and online booking. Contact David Hawker davidhawker3@gmail.com for further information. This four day meeting will explore the wonderful botanical country of west Connemara. The base for the meeting will be the town Clifden which boasts a large number of accommodation options. On each day a range of habitats will be explored including blanket bog, heath, lake and coastline. A focus of the meeting will be lake/wetland species, especially pondweeds. Please contact John Conaghan johnconaghan18@gmail.com or Phone 353-87-2239858) for more information. 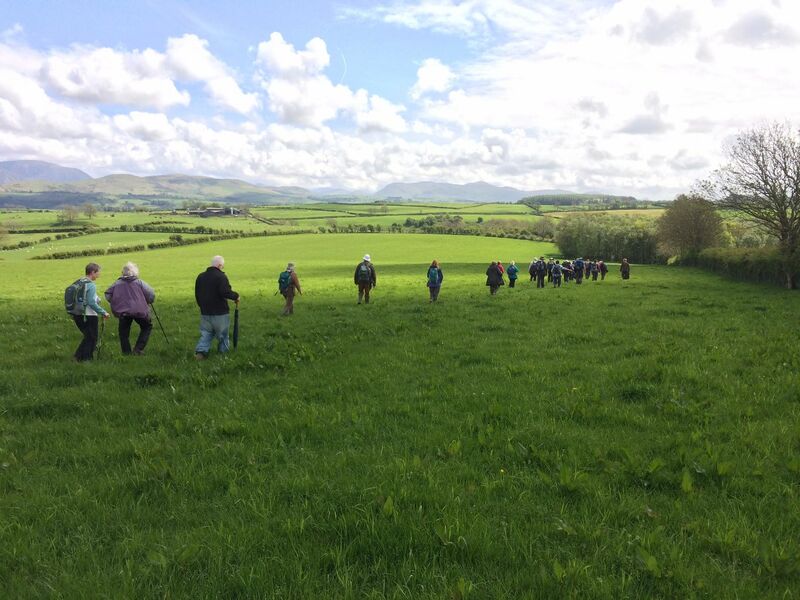 The few days we spend at Caerdeon have become a regular and much enjoyed event in the year’s field meetings programme and many participants come back year after year. The purpose of the meeting is to update records at tetrad level for Atlas 2020, particularly in less-visited parts of the vice-county. Caerdeon is set in its own grounds of 18 acres of secluded woodlands and was visited by Darwin in 1869. He wrote “we have a beautiful House, with a terraced garden and a really magnificent view of Cader [Idris], right opposite.” The house now belongs to Liverpool Hope University and is their Outdoor Education Centre. See: www.hope.ac.uk/caerdeon/. It is fully serviced and the fee [around £155] covers full board, including dinner, packed lunches and bed and breakfast, for three days. Accommodation will be single in dormitory-style rooms or the price will be slightly discounted for people willing to share. A good and plentiful choice of food is available at each meal and people bring their own wine. Evenings may be spent in the workroom where you can safely leave your own laptop and microscope. There is a maximum of about 18 participants. We are offered an extra, optional night on the Thursday [25th] with Continental breakfast and packed lunch, for £40, to be paid for in advance via the county wepage. We will arrange a group meal in Barmouth that evening. Others meet for the first field excursion at 10.30 am on Friday 26th (with lunch). Later arrivals that day may join a planned afternoon walk. Each day there will be a planned choice of different walks, or people may like to follow their own recording inclinations. Local habitats include dune systems, broad-leaved sessile oak woodland, lowland heath, blanket bog, riverine habitats, montane, etc. We pack up and leave the Centre after breakfast on Monday 28th for the last day’s field trip. This meeting could also link with the proposed Local Group field day on Thursday 25th July. Booking for this meeting has now opened on the county webpage. Further details from the County Recorder Sarah Stille preferably by email mossysal@btinternet.com or by post to 38, Foregate, Preston PR2 8LA; phone 01772 718249 or 0777 893 2268. A minimum deposit of £35 will be required to confirm your booking, with the balance to be paid before 30th June 2019. *STOP PRESS* Please note that this meeting is now fully booked! Contact Sarah if you would like to be added to the waiting list in case of cancellations. A number of sites in east Tyrone, such as Lough Neagh shore and the Ballinderry River, will be explored on the Saturday. Meet at the bridge in Coagh village, H891786, at 10.30 am. Waterproof footwear essential. A visit to Ballynahone Bog, Co Londonderry is planned for the Sunday. Meet at 10.30 am at the gate at H 8526 9754 on Ballynahone Road. Waterproof footwear again essential. Contact Ian McNeill (0044-48-86762939; ian@imcneill.plus.com) for further information on Saturday, and Dave Riley dhriley04@gmail.com for information on Sunday. The Slieve Aughty mountains are dominated by blanket bog habitat much of which has been afforested with conifers in the past. Despite this, there are several interesting fen/flush/wet bog areas worth exploring. Meet at 10.30 am both days Egan's Bar, Derrybrien North H62 HX81 (M596020). Please contact Micheline at michelinesheehy@gmail.com if you intend to come, so she knows whom to expect each day. This is rough terrain and may require tough walking through bog. Stout waterproof boots or wellingtons are important. Please bring clothing for exposed, possibly wet, weather and food and beverage for the whole day each day. This meeting is now fully booked. It is a joint meeting with the local group and will concentrate on the identification of the many species of Cotoneaster in the Cherry Hinton chalk pits near Cambridge. In addition to the Cotoneasters we should also see the local speciality of Seseli libanotis (Moon Carrot). The route up to the top of West Pit, where the plant is best seen, is quite steep. Contact Jonathan Shanklin jdsh@bas.ac.uk to be put on the waiting list or for further details. Put the date in your diary now and watch out for more details on the SBC webpage. For BSBI members, there will also be a flyer with the April issue of BSBI News. We return to the NHM for the 2019 Exhibition Meeting and AGM. There will be the usual mix of short talks, displays, posters and book sales, as well as the chance to meet friends, colleagues and other botanists. All welcome. More details will be available soon on the Exhibition Meeting webpage. Our field meetings are a great way to get involved in botany. Most are open to anyone, although members have priority. If you want to book on a meeting, please contact the leader well in advance because they will fill up - do not just turn up on the day. The field meetings list on this page is the most up-to-date version, superceding the one in the BSBI Yearbook. We only hold the information requested in order to administer the event advertised. We will treat your information as confidential, hold it securely and will never pass it on to third parties. Your information will be deleted within 6 months of the event taking place. The lawful basis for processing this data is defined under GDPR regulations as contractual. You can request to see the data we hold on you at any time and we will remove you from our systems and discontinue contact at your request: just email enquiries@bsbi.org and mark your email 'Unsubscribe'.